Jane Hachiya-Weiner has been a vital part of the Indianapolis dance community since 1985 when she joined Indianapolis Ballet Theatre. Originally from Japan, she studied with the Hirofumi Inoue Ballet Academy in Setagaya-ku, Tokyo, Japan, graduating from the Academy and becoming a company member the Hirofumi Inoue Ballet Company in 1979. She eventually became principal dancer of the Hirofumi Inoue Ballet Company during her 8 years with the Company, studying and dancing in Tokyo and abroad with the company in England, Scotland, France, and Italy. Jane is educated in several of the most celebrated training techniques: RAD (Royal Academy of Dance) syllabus and the Vaganova (Russian) syllabus. She is an ABT ® (American Ballet Theatre ®) Certified Teacher, who has successfully completed the ABT © Teacher Training Intensive in Pre-Primary through Level 5 of the ABT © National Training Curriculum. She is also designated an ABT ©Affiliate Teacher in that she has successfully presented students for National examinations. 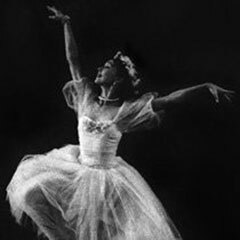 Currently, she is the only teacher in the state of Indiana with the ABT © Affiliate Teacher designation, and her teaching career began in Indiana when she was appointed director of the Academy of the Indianapolis Ballet Theatre during her final years as a professional dancer. After her tenure at Indianapolis Ballet Theatre, she joined the faculty of Jordan College Academy of Dance at Butler University from 1998 -2009 and was appointed adjunct faculty for the dance majors at the Jordan College of Fine Arts Department of Dance as their pointe technique teacher in 2002. Currently, Jane is the artistic director of Ballet Theatre of Carmel at Performer’s Edge – a pre-professional ballet company and an educational component of the Performer’s Edge School of the Performing Arts in Carmel, Ind. Jane has been a part of the Anderson University dance faculty since 2012.